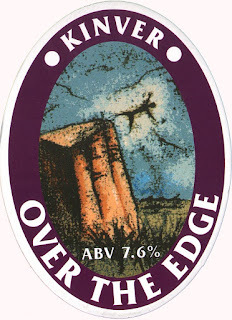 Over the Edge has today won the Bronze Medal in the Strong Old Ale and Barley Wine Category at the CAMRA National Winter Ales Festival in Manchester. The festival is running from 23rd-26th January 2013 at the Sheridan Suite, Manchester, M40 8RR. Over the Edge is available at The Competition Bar where all the beers judged in the Champion Winter Beer Of Britain Competition are available.